In today’s ever changing medical environment, medications play an ever increasing role in one’s recovery. To help in providing more complete and comprehensive care, our pharmacy was expanded in 2001, allowing us to better serve the growing amount of patients and their medication management at the Health Center. The FCHC Pharmacy Department serves the medication needs of the in-patients of Fulton County Health Center. 4 Pharmacists, 5 Pharmacy Technicians, 1 Information Systems Technician, and 1 pharmacy intern (studying to be a pharmacist), work in the Department. The Pharmacy Department is open daily, including weekends and holidays, with a pharmacist being on call at other times. The Department is responsible for verifying all medication orders as to their accuracy, checking for interactions, (drugs to drug, drug to disease), dispensing of medications, both oral and IV, and serves as a medication information center for the hospital. If you plan to have a procedure done or find yourself here for an illness the Pharmacy Department recommends that you or a family member bring in all of your medications, in their original containers, for review. 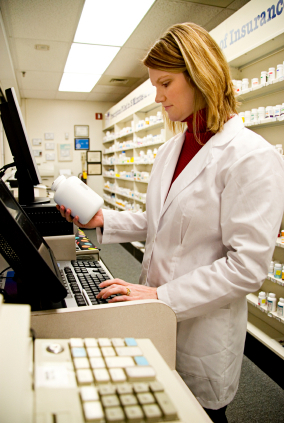 It is very important that we have your medication history on file as an aid in diagnosis and treatment. The Department is not licensed to fill prescriptions for outpatients, as is a retail pharmacy. For more information, you may contact us at 419-330-2670.